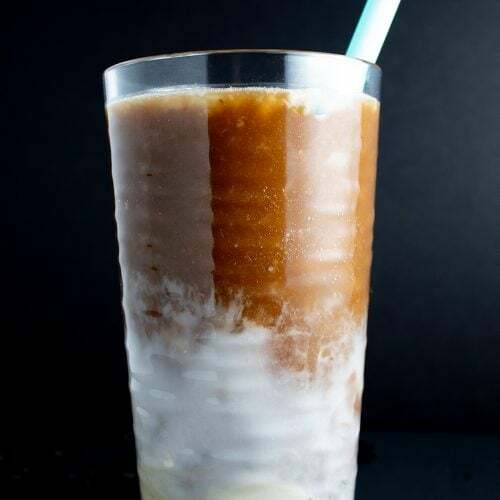 Keto Iced Cofee with Keto Sweetened Condensed Milk and Coconut Milk is just the coffee you need to perk you up and cool you off! With only 1g net carbs, this coffee treat is one you’ll be able to enjoy every single day. This post contains affiliate links, which means I’ll make a small commission if you purchase through one of my links at no extra cost to you. Thank you for your support! 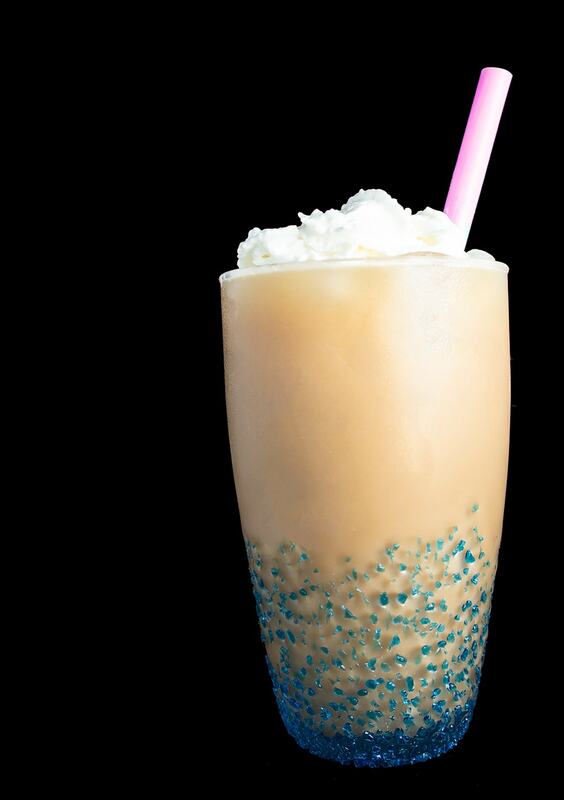 But in all seriousness, this keto iced coffee is quite a pretty coffee to assemble. 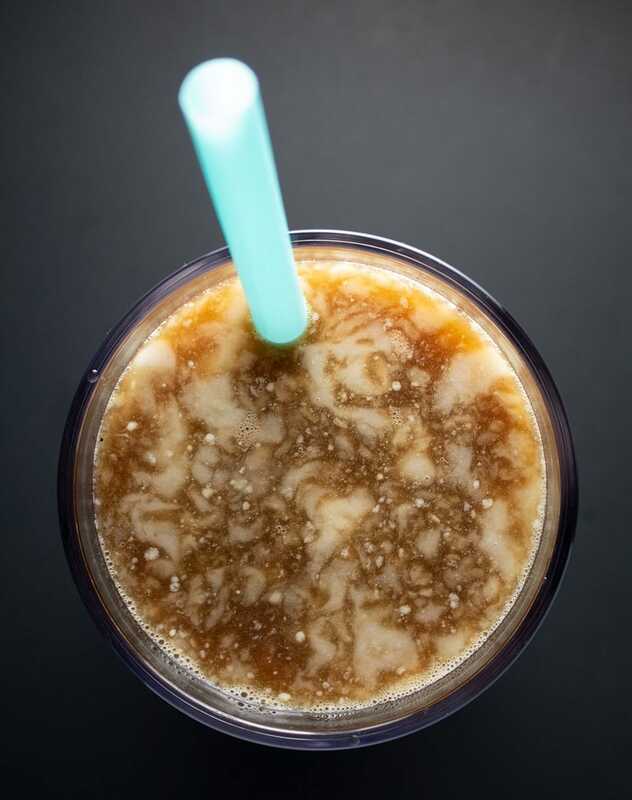 It’s all blended in the photo up there, but when you make it (as you’ll see in the photos below), there is a fun layered effect that starts with keto sweetened condensed milk (yes, really! and it’s a breeze to make), then unsweetened vanilla coconut milk, then coffee. Layer it, add your ice, and give it a stir. 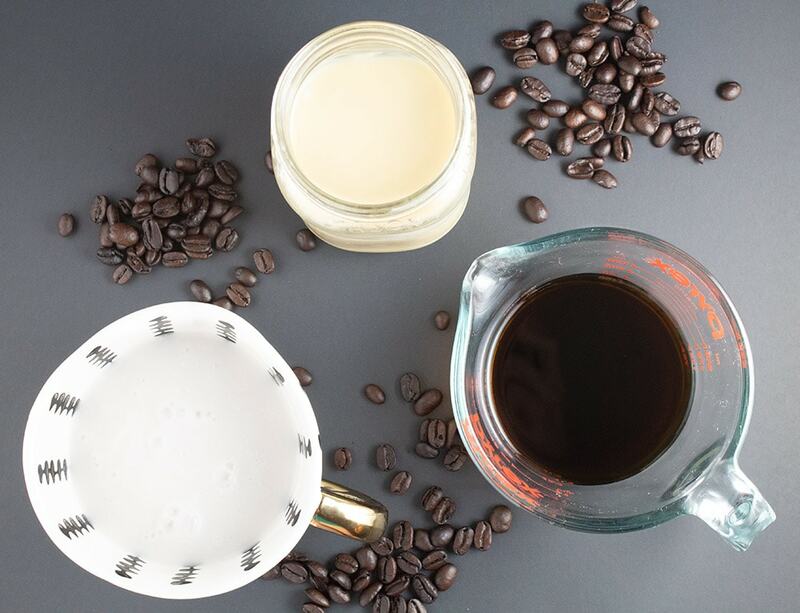 This keto iced coffee recipe borrows from the idea of Vietnamese iced coffee (sweetened condensed milk + strong coffee + ice), but I decided to add vanilla coconut milk to give the drink a bit of a different flavor. However, if you want to omit the coconut milk and make yourself a Vietnamese keto iced coffee, go for it! This is my FAVORITE coffee because it’s super-caffeinated (the company bills it as “The World’s Strongest Coffee“), meaning a little goes a long way. I highly recommend using it in this recipe because it will give you a caffeine kick without diluting the coconutty sweetness too much. If you don’t use Death Wish Coffee, you can use regular coffee; however, you will need to use more to get the same amount of caffeine. Yes, you can make this at home and it’s easy to do! You’ll use the kind from the carton, not from the can. You can also use unsweetened vanilla almond milk. If you don’t have Keto Sweetened Condensed Milk yet, go make yourself a batch and come right back so you’ll have all of your ingredients ready. and end with your coffee. Optionally, add 1 tbsp MCT oil for extra healthy fats. How can you not want a glass of this?! Add your desired amount of ice, mix, and drink! I don’t know about you, but I’m ready for some coffee. Enjoy! 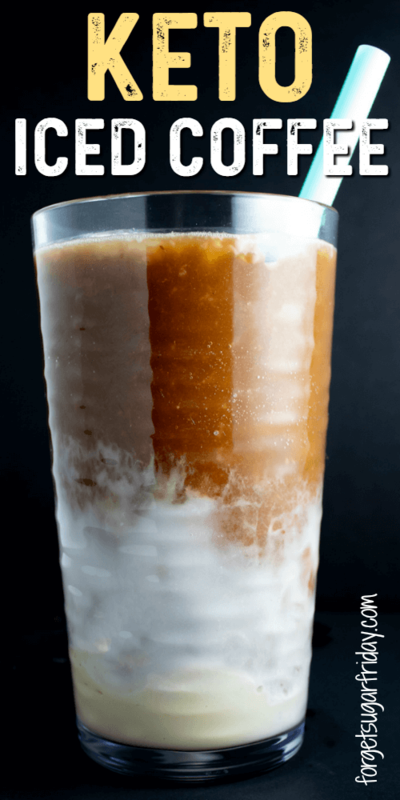 I hope you love Keto Iced Coffee with Keto Sweetened Condensed Milk and Coconut Milk! If you liked this post, I would so appreciate you giving it a share by using the social sharing icons. THANK YOU! 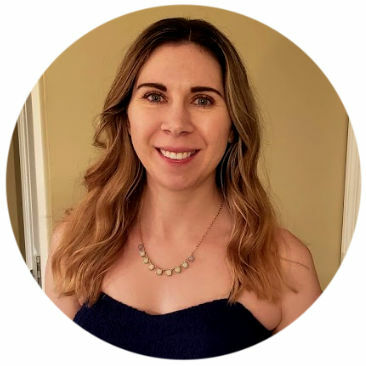 Don’t forget to also check out my popular Keto Crack Coffee – A Must-Try Keto Coffee Recipe and my yummy Fat Bomb Coffee too! 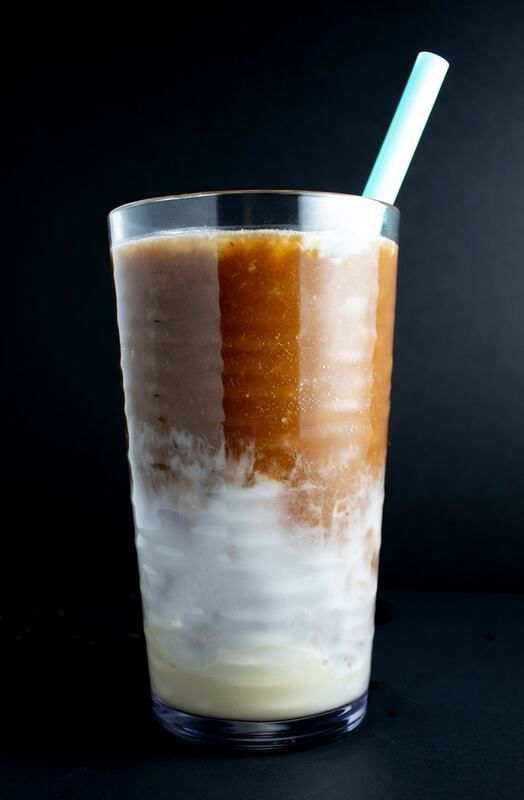 This dreamy iced coffee is super easy to make! 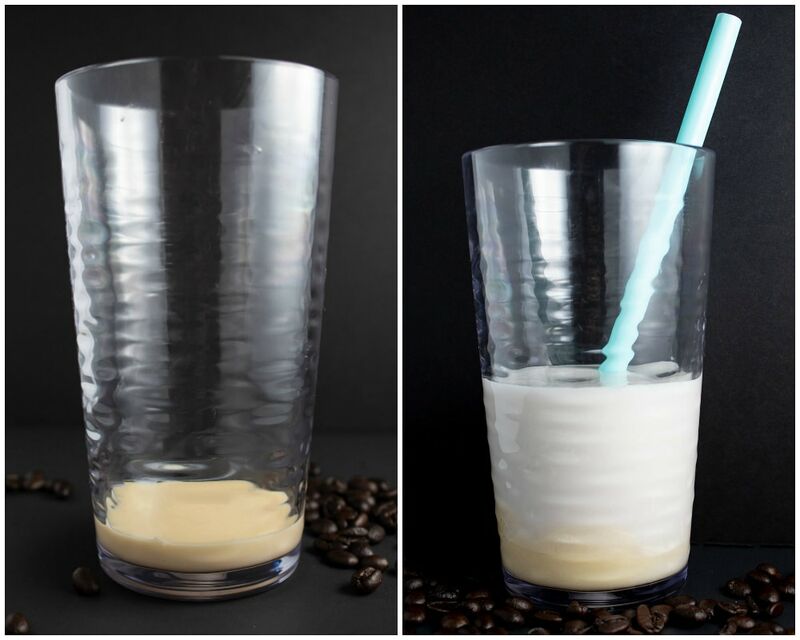 Pour Keto Sweetened Condensed Milk into a glass. 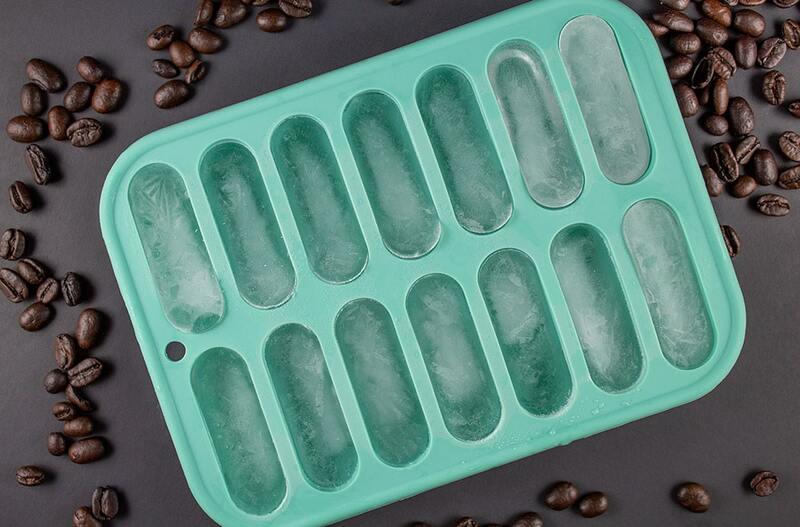 Add desired number of ice cubes. If you don't consume dairy, use nutpods Unsweetened Dairy-Free Creamer instead of the heavy whipping cream. Use coupon code FORGETSUGARFRIDAY to receive 15% off your order of Perfect Keto MCT Oil! Nutrition facts are calculated without the MCT oil, so don't forget to add that in if you use it.